Obesity is one of the hottest topics being discussed in pediatric circles right now. And with good reason: it is the most prevalent nutritional disorder among children and teenagers in our country. This epidemic has dramatically ballooned over the past 30 years, from less than a tenth of children to a point where almost a third of children are either overweight or obese. 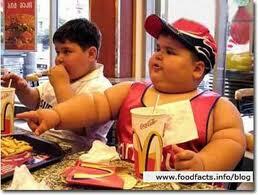 Childhood obesity comes with a nasty price too. It predisposes to insulin resistance and type 2 diabetes, hypertension, liver and renal disease. It also increases the risk of adult-onset obesity and cardiovascular disease. The environment plays a huge role in how this epidemic came to be. And it is also the environment surrounding the child that is the key in preventing and solving this problem. The American Academy of Pediatrics has promoted a movement called the 5-2-1-0 Healthy Active Living to beat this ongoing national health crisis. Five. 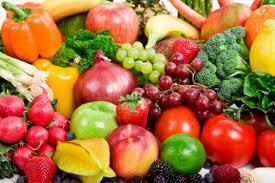 Children and adolescents should eat five or more servings of fruits and vegetables a day. This is a good way of increasing fiber intake, and also replacing energy-dense snacks. Getting a child to eat something different can be challenging. Kids will refuse and be resistant to new things and it may take more than 10 tries to get him to try something new. It is the parent’s job to be consistent and set some limits on the table. The child may control how much to eat, but ultimately, we decide what goes on the plate. Two. Children should not spend more than two hours of screen time per day. This focuses on the role media has on food choices and also more importantly, physical activity. The commercials children are exposed to usually promote unhealthy food choices, and partner their favorite cartoon character with the high sugar snacks. TV time also trains them to have a sedentary lifestyle. Kids tend to automatically watch TV instead of playing outside or doing chores. One. One hour or sixty minutes of moderate to vigorous physical activity a day is recommended. This may come from a variety of activities like playing outside with friends, organized sports for adolescents, family hikes, and riding the bike. 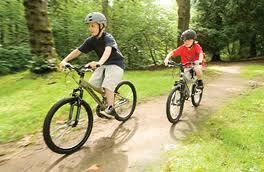 Both structured and unstructured activities are very important in getting the child to move. Competitive sports, martial arts, and dancing are excellent ways of achieving these, but small changes also go a long way. Take the stairs instead of the elevator, get off the bus a stop early, reward with physical activity instead of a dessert, etc. Zero. Zero juice or high-caloric beverages should be observed. Water and low fat milk are excellent choices for kids. Juice and soda equal a lot of added sugar kids do not need. In the end, kids learn by example, and eat by example. And children aim to please. If we are worried about our child’s health, then steps need to be taken to alter the family lifestyle. Food choices need to be reassessed, and families should take part in physical activities together. If the entire family becomes vested in staying fit and healthy, children will grow to value and incorporate these ideas in their lives as well. Let us help our kids form healthy habits now. Healthy children are more likely to be healthy adults. Love the numbers to help people remember how to stay active, eat well and combat the epidemic. https://www.facebook.com/pages/Outdoor-Hour-Challenges/134360306622900 and http://handbookofnaturestudy.blogspot.com/2011/07/outdoor-hour-challenge-july-newsletter.html can be great places to start looking for inspiration for nature study and the hour outdoors!